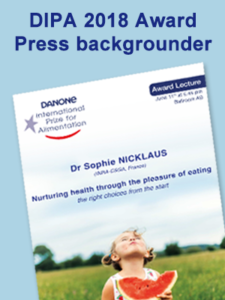 The winner of the first Danone International Prize for Alimentation (DIPA) is Dr Sophie Nicklaus, who receives the prestigious award in recognition of her outstanding research into children’s healthy eating behavior. 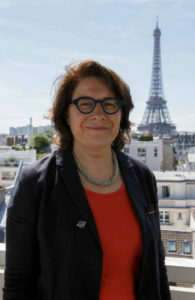 Dr Nicklaus leads a team of researchers at the French National Institute for Agricultural Research, based at the Centre for Taste and Feeding Behavior in Dijon. Her passion for the science of nutrition began as a young biologist and soon led to her fascination with food and the influences that shape our food preferences. Since then she has dedicated her career to studying children’s eating behavior and how it might be modified to steer children onto the right path to healthy eating throughout life. Central to Dr Nicklaus’ research is the understanding that it is not enough simply to help children identify which foods are healthy and encourage them to eat them. We must also take heed of other powerful factors that drive food choices – including social, psychological and cultural factors, collectively known as Alimentation. Among these, one of the most influential is pleasure. Often overlooked in healthy eating strategies, pleasure is fundamental in driving food choices. Children learn to derive pleasure from healthy food through their early eating experiences – from being exposed to their taste, appearance and flavor, and from the positive experience of eating sociably with family and friends. Associating healthy foods with pleasure in the early years can positively influence food preferences that are then consistently carried through to adolescence and adult life, Dr Nicklaus’ research has revealed. Getting it right from the start is therefore crucial and points to the need to develop ways to help parents make the most of this window of opportunity. repeated exposure: children can learn to like healthy foods such as vegetables if they are repeatedly offered to them – it’s worth offering a particular food up to ten times. avoiding over-eating habits: over-eating can start very early on and can arise if parents fail to pick up signs that their infant has eaten enough. Monday 11th, 2018, Boston (USA). 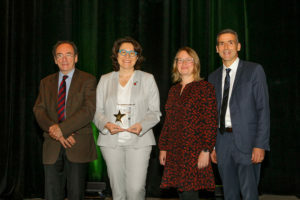 During the Nutrition 2018 ( the American Society for Nutrition annual congress), Sophie Nicklaus has been awarded the 2018 Danone International Prize for Alimentation. 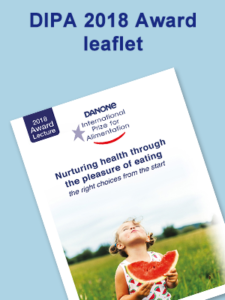 In presence of Olivier Goulet, President of the Danone Institute International, Suzanne Higgs, president of the 2018 DIPA Jury and Nicolas Gausseres, Chief Alimentation Science Officer, Danone; Sophie Nicklaus has presented her research work on “Nurturing health through the pleasure of eating – the right choices from the start”. Comment apprendre à bien manger dès le plus jeune âge ? Bien manger, mais en quelle quantité ? 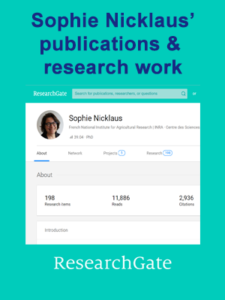 If you seek more information and to learn more about the publications and the research work by Sophie Nicklaus and her team, we invite you to visit the laureate’s dedicated page on Researchgate.